Hey you guys! Today we have a serious treat for you. 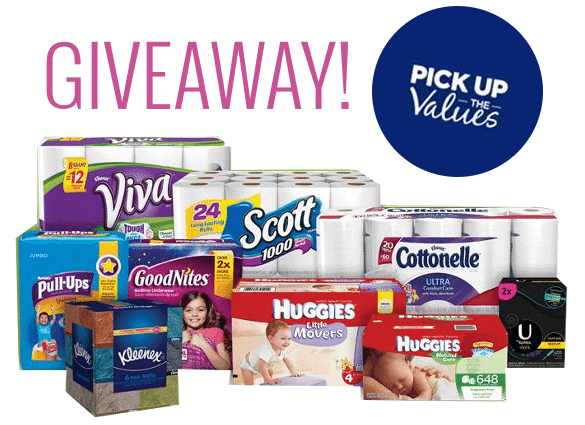 As you may or may not know, we’ve been sharing some of our best budget tips each Saturday this month in a partnership with Kimberly Clark & their awesome coupon website Pick Up The Values. 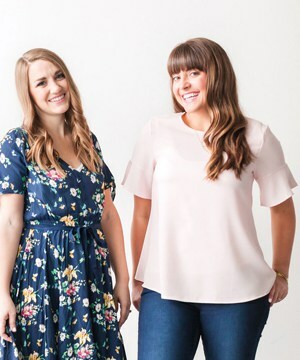 They have been helping us save so much money, and their products are things we use all the time so who doesn’t want to save a little more moolah on things like that! I’m especially a sucker for Viva paper towels. Something about them just feels luxurious. Entries will be verified and we’ll be picking our winners on Thursday. Good luck, and may the odds be ever in your favor! « How to Save Money at Target! It would have to be classic Kleenex! :) always there when I need it! Love Kleenex! Will definitely be needing it in the upcoming winter season! Kleenex tissue has saved our family during the allergy season! Love it! I love their Kotex tampons! That’s the only kind that I use when I exercise and it’s so comfortable! Huggies are the best! I also buy kotex for “that time of the month” haha. They are reasonably priced too! I would love love love to win this!! With two kiddos we go through a lot of those products everyday. being newly married and having ZERO money this would help us so so much financially! Loving this giveaway! As a mama with a baby in diapers – I’m all about my Huggies! Love my Huggies for my babies! With allery season, how can I not choose KLEENEX. Always there when needed. I love the PullUps. The designs are super cute and they do not leak like other brands I have tried. I love U by Kotex. It gives me the best period protection! I love U by Kotex. BTW, there’s a problem with your instagram link. I love Kleenex and buggies diapers. I love Huggies Little Movers! They don’t leak like most others! Scott 1000, it’s the only brand I buy. These packages would be amazing! I love Kleenex.